Group C (Samuh G) Latest Recruitment in Uttarakhand for Various Posts 2014, UBTER.IN: -The Uttarakhand Board of Technical Education Roorkee has recently notified for the various recruitment in Uttarakhand. The Board has invited the application for the recruitment to various posts in different departments of Uttarakhand. The board has conducted the recruitment on the behalf of Uttarakhand Government. So now all the eligible and interested candidates can apply for these posts before the last date of registration. The full advertisement of the Recruitment is available in the official website of Uttarakhand Board of Technical Education Roorkee. And candidates can also get the application formats from there. So below I am giving you the official website link of the Board by which you can find the recruitment details in it. Age Limit for Recruitment: - 18 to 40 Yrs and relaxation as per Govt norms. Application fees: - there are no fees applicable for any posts in the recruitment. 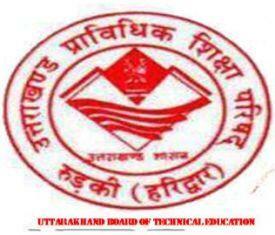 The official website of Uttarakhand Board of Technical Education Roorkee is: - www.ubter.in. For more details and information, you can also bookmark our site on your browser. We will update the more details of posts and dates of submission soon.